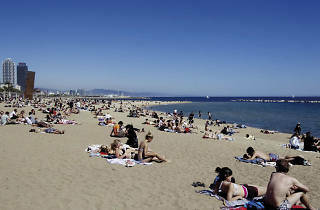 Along with Sant Sebastià, La Barceloneta Beach is the city's biggest and most traditional beach. It is named after the seafaring neighbourhood par excellence, built during the 18th century by Barcelonans expelled from La Ribera in 1714. 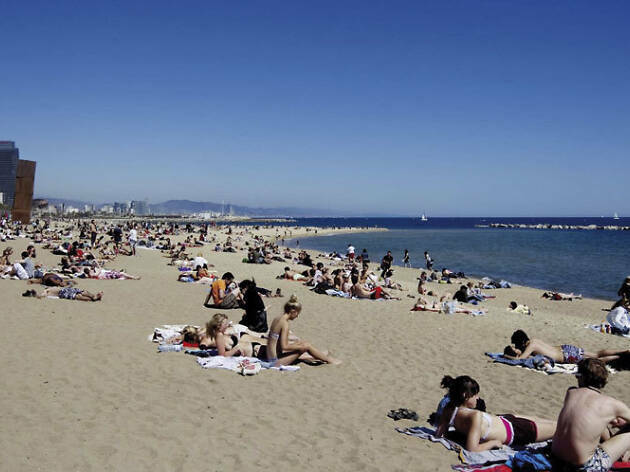 In addition to its maritime past, La Barceloneta also had strong connections to the metallurgy and gas industries, which are still reflected in some of the names found in the area as well as by the Gas breakwater that divides the beach in two. The construction of the seafront promenade at the end of the last century connected this old neighbourhood with the Olympic Port. It also meant the loss of the popular chiringuitos where locals made paella on Sundays prior to the Olympic frenzy. These days, you'll find other types of restaurants and services in the area below the promenade. Services: Parking, bathrooms, showers, lifeguard, support for people with disabilities, volleyball court, playground, lockers, beverage vendors, restaurants, information point, bicycle rental, beach umbrella and lounge chair rental.